Al Qaeda in Iraq claimed Friday that it was behind a brazen prison break last month that saw dozens of inmates escape, including many suspected members of the insurgent group. The claim comes just three days after U.S. and Iraqi officials told the Associated Press that the terror group's franchise has more than doubled in numbers from a year ago to about 2,500 fighters and appears to be rebuilding. The violent clashes during the escape left 12 people dead, including 10 prison guards. At least 45 prisoners were thought to be on the lose. In a statement posted online, al Qaeda in Iraq claimed to have infiltrated the security force at the prison in order to smuggle in, "weapons, silencers, hand grenades, and suicide belts to the brothers inside the prison." 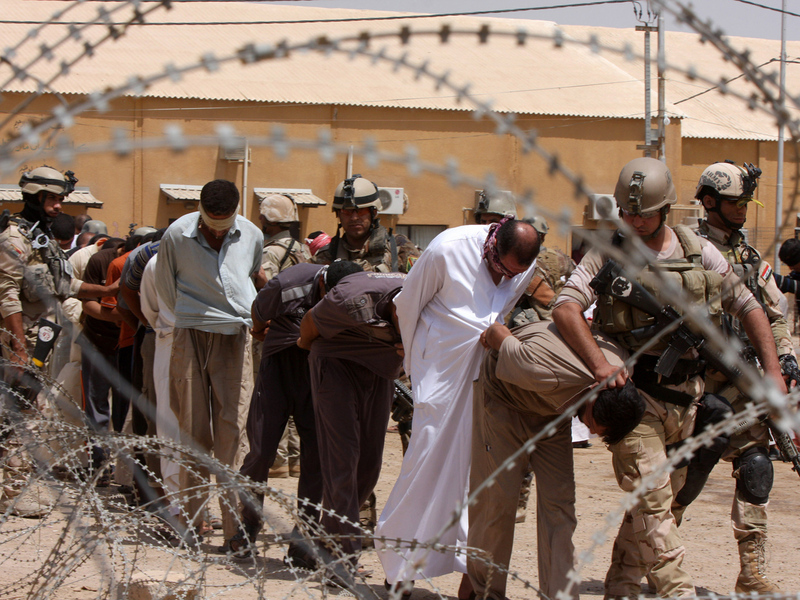 During the war and its aftermath, U.S. forces, joined by allied Sunni groups and later by Iraqi counterterrorism forces, managed to beat back al Qaeda's Iraqi branch. Now, according to the officials who spoke to the AP, the extremist group has set up training camps for insurgents in the nation's western deserts, seizing on regional instability and government security failures. U.S. officials have said that some al Qaeda militants have crossed the border into neighboring Syria, joining domestic rebel groups in the fight against long-time dictator Bashar Assad. Most of the fighters bolstering al Qaeda in Iraq's resurgence are believed to be former prisoners who have either escaped from jail or were released by Iraqi authorities for lack of evidence after the U.S. military withdrawal last December. Many are said to be Saudi or from Sunni-dominated Gulf states. Pentagon data shows al Qaeda in Iraq is now carrying out an average of 140 attacks a week.